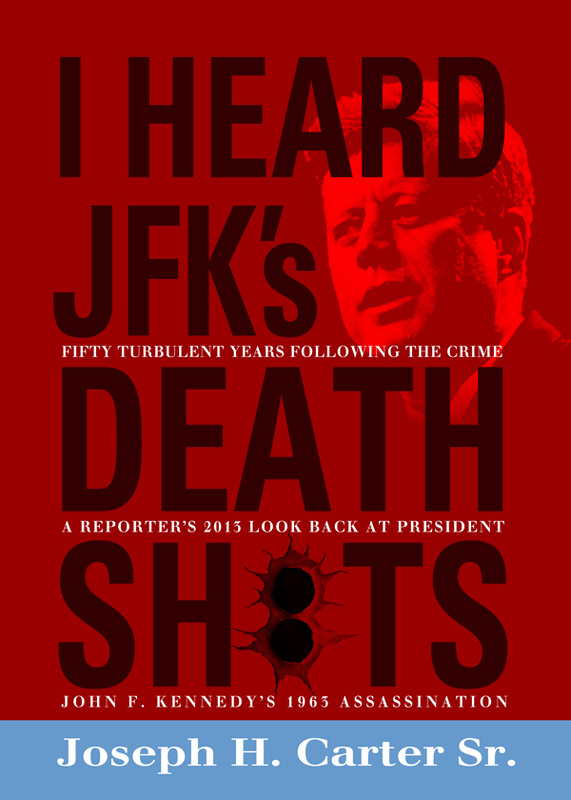 I Heard JFK’s Death Shots: A Reporter’s Look Back At President John F. Kennedy’s 1963 Assassination After 50 Years. As a United Press International correspondent, Carter was back-up reporter in Dallas for White House newsman Merriman Smith who won a Pulitzer prize for reporting Kennedy’s assassination. This is a behind-the-byline account of how the UPI team functioned under fire and deadline. Author’s Note: Fifty years following the assassination of President Kennedy, editor-wife and I performed an informal search for books on the subject. We found more than 300. Most texts seemed to center on strange conspiracies and outlandish notions about the dreadful shooting. As part of the UPI team in Dallas before, during and after that November 22,1963 event, I feel an expertise on the subject. Many hours, days and months were spent discounting and refuting published lies. Dozens of major newspapers. international news services, broadcast networks and magazines assigned their best and brightest investigative reporters. Disclosing a verified conspiracy would have gained Pulitzer or Nobel Prizes. My book attempts to confirm the truth: Lee Harvey Oswald did it all alone and insanely. You can purchase the book online from Smashwords in multiple eBook formats at http://www.smashwords.com/books/view/272382.